Now the students are back and freshers rush around the city, all wide eyed, Liverpool’s arts scene gets worked up too, putting on lots of tasty titbits for us to enjoy. Here are the best events coming up over the next four weeks, with some free to access. As usual, we aren’t short of cultural things to do and see. Record Fairs: Bluecoat, October 1 and Holiday Inn, Lime St, October 16 The resurgence of vinyl scurries on apace, and while some people tie themselves in knots arguing whether the physical sound carrier is called record or vinyl – really, who cares? – why not get along to some of the record fairs held in Liverpool. They are a chance pick up some rarities and bargains directly from dealers, and talk to other collectors. It’s much more fun than buying off eBay. Hooton Tennis Club artwork at The Well Space, Roscoe Street. We popped over to the Well Space, the Mount Pleasant end of Roscoe St, last weekend to check out artwork by Hooton Tennis Club. The painting is a recreation of the sun rising over the Moray Firth, seen during their time recording the second album Big Box Of Chocolates at Edwyn Collins’ studio in Helmsdale, in the Scottish Highlands, earlier this year. We like the way Merseyside and Moray Firth are now linked, connected by this painting, and the new record. Go check it out. Further on the street art front, Banksy artwork removed from walls in Liverpool, for example the Love Plane on Rumford Street, will be returned to the city and hung alongside other Banksy pieces at The Gallery at Berry House in the Baltic Triangle. The exhibition is due to launch in Liverpool shortly, and we’re not sure how street art like Banksy’s will fare in a sterile gallery instead of on outside walls, but we’ll see. Open Mic: Waterstones Liverpool ONE: October 12, 6.30pm – 7.30pm. This is for spoken word only, which makes it unique in Liverpool. Most open mics here are poetry or acoustic singer songwriter based, but this is open to short stories, flash fictions and monologues, no music at all. Reading out new material to see how it goes down with an audience is a great way of road testing work and a very important part of the creative process. Each performer is given three minutes, no more. It is the second open mic at this venue, and free to attend, but you must book in order to be guaranteed a place. Please advise organisers on arrival if you’d like to read on the night. Performance wise, the only rule is – your writing must contain no filth, or swearing. Out of respect to other customers and families in the store. Call 0151 709 9820 for tickets. The Ball of Fire: Epstein Theatre, October 12. The dramatisation of Everton legend Alan Ball’s struggles to become a professional footballer makes a return to the Epstein, narrated by Ronnie Goodlass. There is poetry by Bobby Parry, and John O’Connell performs a pre-show classical guitar at 7pm. Alan Ball’s family have endorsed this play. It will also be on at the Floral Pavillion in New Brighton on 15th October. House of Suarez Vogue Ball: The Iconic Ball, Invisible Wind Factory, 15 October. 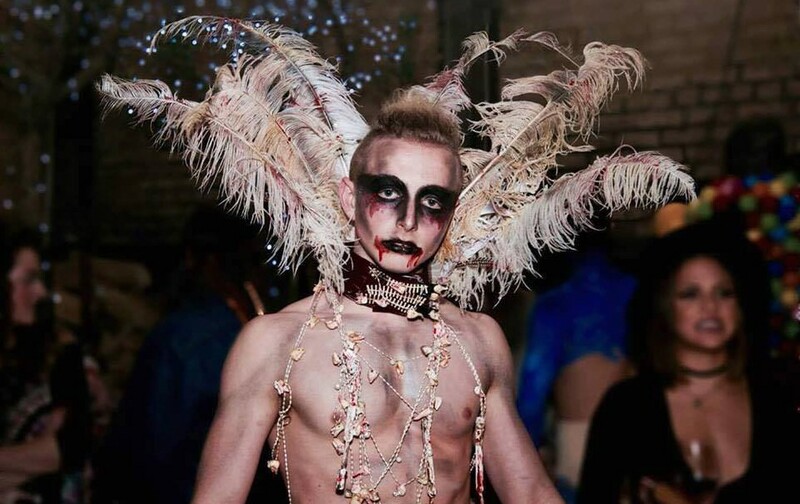 The annual Vogue Ball is the annual vogue dance event in Liverpool, where Voguers compete to be the most fabulous. The Iconic Ball invites the best Vogue teams, known as Houses, to battle it out in a fight for ultimate dance supremacy. Last year’s event saw a record number of ‘Houses’ participating in the Sugar Ball where the theme was sugar and spice and all things naughty but nice. This year, the theme is Iconic. Nina – a story about me and Nina Simone at Unity Theatre, Sat October 15 – Sat October 29. Fighting racism, leading the charge for civil rights, giving belief; but what happened to Nina’s legacy? Featuring Nina Simone’s iconic songs, accompanied by a live band, this new play is performed by Olivier award-nominee and Unity patron Josette Bushell-Mingo OBE. Liverpool Irish Festival, 13-23 October, various venues. 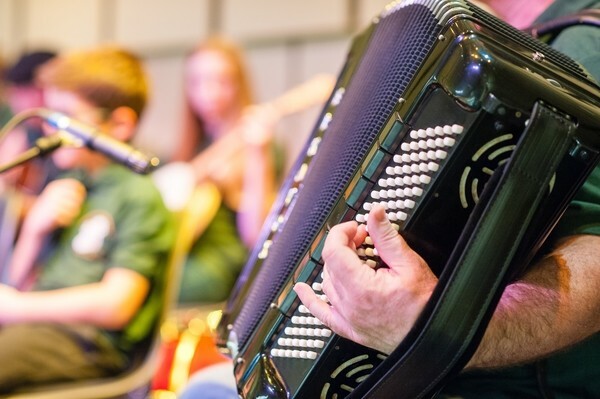 Liverpool Irish Festival this year includes a centenary celebration of James Joyce’s A Portrait of the Artist as a Young Man, ceílí dance classes, Liverpool and the Easter Rising: Exhibition and much more. Off The Record, November 4, various Manchester venues. A brand new emerging multi-venue music event and conference in Manchester’s Northern Quarter. Sound City, Louder Than War and Kendal Calling will curate a music conference featuring representatives from the music industry – label and publishing, A&R, bloggers and promoters. In the afternoon and evening, 30 emerging artists will perform showcases across 6 Manchester venues.